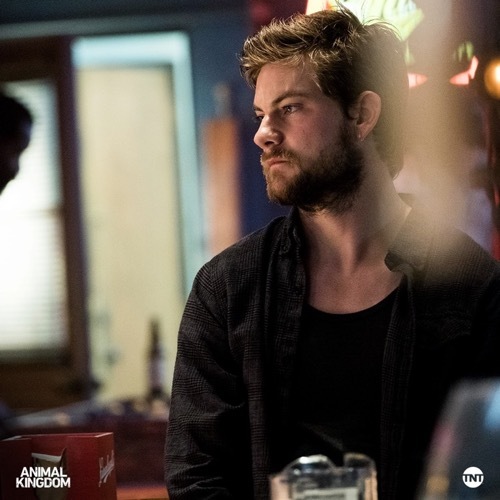 Tonight’s episode of Animal Kingdom looks like it is going to be great and you won’t want to miss it, so be sure to tune in for our live Animal Kingdom recap at 9:00 PM ET! While you wait for our recap hit the comments and let us know how excited you are about the season 3 episode 6 of Animal Kingdom. J was trying to get his house in order. He stopped ignoring his girlfriend for once and took the time to talk to her. Nicky has been depressed for a long time and so she liked being able to talk to J again. She told him how unhappy she was and how she had tried to go to Guam to be with her family, but her family wouldn’t have her and Nicky told J she doesn’t know where to go from here. She has no real place in the family and she needed to feel wanted by someone. J told her that he wanted her around and he called her father out because he knew the older man didn’t need to be a jerk to Nicky. And so J was making strides with Nicky and part of doing that was stopping whatever it is he has with Mia. Mia was trouble. She worked for a gang that were keeping Smurf protected in jail and she was also sleeping with J on the side. This kind of situation was just too messy for him and so J told her that couldn’t hook up anymore however Mia laughed at him for calling what they did hooking up and then she asked about Nicky. Nicky wasn’t cut out for the life and Mia told J this. She also warned him that one day something might happened to Nicky if J chose to keep her around and he had ignored that remark. J hadn’t thought it was important and had one too many problems he was dealing with to focus on what Mia may or may not have meant. J later got a text message from Smurf demanding he go to the jail to see her. Smurf had been locked away for sixty days by then and she knew the ADA didn’t have a case, so she was snapping at everyone. She even snapped at her lawyers when they came to see her and she pushed them to revealing what was going on with her case. They told her that the ballistics cleared her because it had been proven that Smurf’s gun shot Javi after his death and so the reason Smurf was still behind bars was because the ADA found a witness. This witness claims Smurf set up Javi’s murder and she made sure to find out this witness’s name because she wanted to know who had this proof. She knew that she did what the ADA said was right and that’s why she wanted the witness’s name because she eventually asked J to pay this person a visit. The witness had been someone from Javi’s crew and so it was the same people that once tortured J. J had flashbacks of the night they left him for dead and he didn’t know if he could face those guys again however his grandmother didn’t care about what J was going through. She reminded him that she took him when his mother died and that she gave him everything. She gave him a home, food, and so now she says he owes her. J had heard stories all his life and it wasn’t until Smurf threw that back into his face that he realized she was as manipulative as everyone said. Smurf took people in because she wanted them to owe her for the rest of their lives and J knew that he had to do what she said no matter how he felt about it. J even talked to Nicky and Nicky thought it was a bad idea. She said they should just go while they could and that he could go to college like he always wanted though J wasn’t going to bail like that and he hadn’t wanted to ask his family to go with him. J wanted to handle everything on his own and so he failed to bring anything up when Craig called a family meeting. Craig had found out a new crew was moving in on their turf and he said they had to send a message. He’s been talking to people and the reason no one mentioned his crew because they figured the Codys were all distracted. The family had lost both of their leaders back to back and so Oceanside didn’t believe they could rely on the Codys when they were so weak. Craig had gotten angry about that and so he said sending a message was more important than ever. He reminded everyone that the reason they sponsored beach cleanups and pay for new surf boards for kids that couldn’t afford their own because it kept the people loyal. They knew that they could turn to the Codys for anything they needed and Craig hadn’t wanted to let them down. He talked Deran and J into going with him to teach this new crew a message and Nicky hadn’t liked that. She told J that they should just leave and, when he reminded her that he couldn’t leave his family, she made fun of him. She said the others didn’t really respect him and that they thought he was lackey. And she kept going in on him that J snapped. J said no wonder her father didn’t want her around and then he left her at the house to join his uncles. The guys roughed up this other crew and they stole some coke that Craig claimed he would try to fence for them, but no one believed that and Deran said that was okay because he might have another job for them. He had gotten an idea from Billy about robbing a weed dispensary and the idea might pan out. The guys were excited about another job and J went home in a good mood only to find Nicky bleeding out. She had gotten high and had accidentally shot herself. So J picked her up and he dropped her off in front of the hospital because he knew he could go in with her when the doctors reported in the gunshot wound. J had been used to Nicky screwing up yet it had never been as bad as this.